MISSISSAUGA, Ont. – This weekend, the Nissan Micra Cup will hold its third outing of the 2018 season. 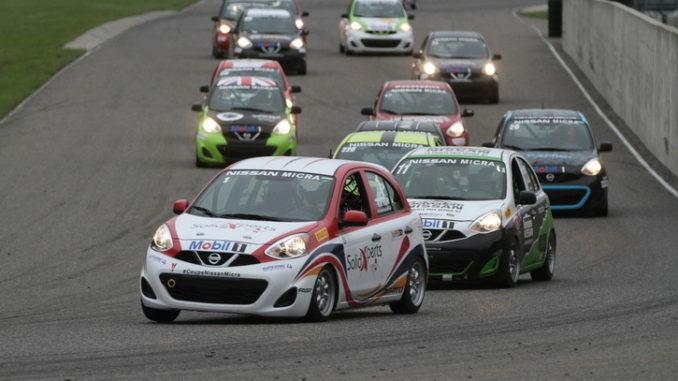 After contesting two events this spring in Ontario, the Micra Cup family will reunite at Circuit Mont-Tremblant in Quebec, where the inaugural rounds of the series were first held back in 2015. As one of the highlights of the summer, the Circuit Mont-Tremblant’s Summer Classic, draws thousands of spectators and families to watch the Micras end the first half of their season in the heart of the Laurentian mountains.